Live cells currently could be used only in an autologous fashion (the patient is the donor as well as the recipient), and while there is enormous promise in live cell therapies, and thousands of ongoing experimental applications trying to establish efficacy, these are not at the point where they would meet the scientific standard. live cells, like other medical products that are intended to treat, cure or prevent disease, generally require FDA approval before they can be marketed. FDA has not approved any live cell-based products for use, other than cord blood-derived hematopoietic progenitor cells (blood forming live cells) for certain indications. This site is not for purpose of diagnosis and treatment. The cases discussed in this website are not typical. If you are considering live cell treatment in the U.S., ask your physician if the necessary FDA approval has been obtained or if you will be part of an FDA-regulated clinical study. This also applies if the live cells are your own. If you are considering having live cell treatment in another country, learn all you can about regulations covering the products in that country. Exercise caution before undergoing treatment with a live cell-based product in a country that—unlike the U.S.—may not require clinical studies designed to demonstrate that the product is safe and effective. FDA does not regulate live cell treatments used solely in countries other than the United States and typically has little information about foreign establishments or their live cell products. Live cell therapies have enormous promise, but the science in each use is still in the developmental stage. Professional judgment and expertise is needed in using live cells for any therapeutic use, and we urge anyone embarking on the use of live cell therapies to consult the national health data bases to evaluate current information from clinical trials and the FDA websites on human tissue should also be consulted to get its current evaluation of any therapy. and over 50000 cases treated. Autologous cell therapy injections is a by-product of blood that is rich in Growth factors and platelets. Until now, its use has been confined to the hospital setting. Mentorship program for Physicians Only. We will take you through the procedure step by step. We will give you the required elements and tools. We will use skype as mode of communication and learning. You will have access to over 20 years' worth of experience and successful protocol. From a therapeutic point of view, immunomodulation refers to any process in which an immune response is altered to a desired level. Currently we have developed protocols to treat over 150 diseases. Have you been diagnosed with Macular Degeneration, Diabetic Retinopathy or Retinitis Pigmentosa? Or is your vision getting weaker as you are getting older? If yes, now there may be a way to improve the eyesight whether it is due to natural aging process or due to disease, with live cells. Published studies and citations in major medical journals, and continues to conduct clinical research. The Center for Regenerative Medicine has an ongoing commitment to stay on top of the latest developments in the medical community. The following research have provided great insight and push forward our understanding of these medical topics. Alimorad Farshchian, M.D., founder and medical director of The Center for Regenerative Medicine, founded in 1999, has developed innovative, safe and effective live cell treatments for Parkinson’s Disease, spinal stenosis and other physical ailments, such as back and knee problems. More recently, he has developed live cell-derived eye drops that have successfully treated a range of eye disorders, including retinitis pigmentosa. Since 2006, Dr. Farshchian has treated more than 11,000 patients in more than 50 countries with his proprietary live cell therapies. Despite his major innovation and success with live cell therapies, he is best-known worldwide for successfully treating the late Michael Jackson for his addiction to prescription painkillers and also for an ankle injury before what would have been the new tour Jackson planned before his death. 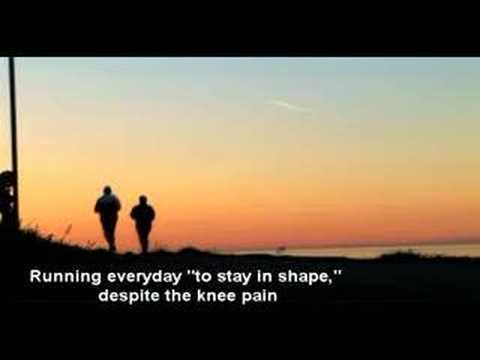 "The Knee Diaries" A Global information source dedicated to people with Arthritis and Sports injuries, based on actual cases of Arthritis and Sports injuries seen and treated at The Center For Regenerative Medicine. Our staff understands you are in pain, and we know we need to be just as freindly as healing. The center is equiped with the latest diagnostics technology. When only the best can be considered, the center is the place to turn. The Center for Regenerative Medicine includes a team of dedicated professionals, with access to Digital imaging, X-Ray and necessary orthopedic equipments. Major players including Global icons, world champions, sports legends, Pro athletes, amateur athletes, dancers and people with just plain arthritis come to the Center for regenerative medicine from around the world for non-surgical orthopedic care , using our facility to improve their conditions. 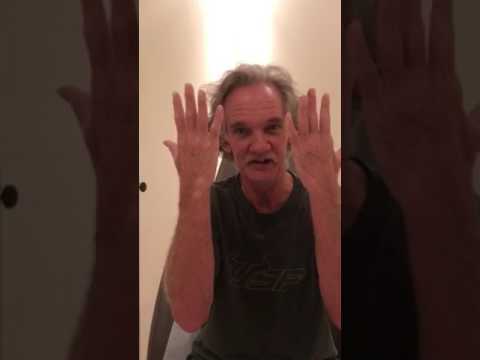 "Within four weeks I was able to walk almost ten hours pain-free ten minutes... I can't recommend the place highly enough." 2012 The Center becomes the USA Olympic Track team consultant for 2012 London Olympics. 2015 The Center begins treatments of COPD patients using Autologous live cells. 2017 First to develop and offer Autologous live cell eye drops for the treatments of eye disease.